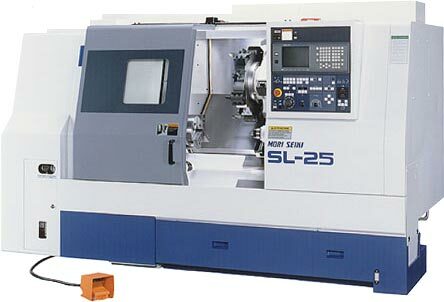 CNC Lathe — Duyck Machine Inc.
Like milling, turning has become a high precision art form. Duyck Machine has an array of Computerized Numerical Control (CNC) turning centers. These machines remove material by turning the part, rather than the tool. In some cases, our machines have a second spindle so that the part can be machined from both ends with a minimum of manual handling. In addition to this, we have equipment that will combine turning and milling operations to make complicated, highly accurate components while keeping costs down. Depending on the configuration of the part, our general size limits are 12 inches diameter and 18 inches long. Longer parts of up to several feet can be machined if the overall diameter is less than two and one half inches.